Software company and publisher Panic has recently posted an insightful retrospective via its blog regarding the post-launch of its first-person adventure video game Firewatch, co-published and developed by Campo Santo. These insights are extremely valuable for a Dev team like us; what we could expect and possible post-launch scenarios. There's no getting away from the fact that your stomach will be in a wreck on launch day. ReRunners is already gaining lots of nice, positive reviews during its Soft Launch, but it's still nerve-racking logging in to check new reviews. Firewatch has also had a lot of high-profile influencers stream the game, but it's still unclear whether they were paid for or were organic streams. Recouping investment is also a talking point, with Firewatch making its investment back in roughly 24 hours. 500,000 copies sold in one month is incredible for an indie game. Here at Klang, we're in a similar position as Campo Santo although we're still in Soft Launch. We read Tweets, communicate on our Forum, reach out to our audience, and work 24/7 to find bugs and other points of frustration for our players. This will never stop. But, constant improvement is necessary to make a quality product. At one point during Firewatch, you'll find a disposable camera, and at the end of the game, you can choose to upload the photos you took to Panic's server. Then, you can order physical copies of these images. This, alongside encouraging fan art, are both really cool ways to bring the game and brand into real life, rather than only through a monitor or mobile/tablet. We have a lot of crazy ideas for merging ReRunners with real life and other forms of multimedia, but we'll see what happens with them. One final interesting point was that a lot of Panic's marketing budget went into last year's GDC Firewatch preview centre experience. For us, reading about the success and post-launch insights of a booming indie game is very inspiring! Here's to the future! According to an article recently published by VentureBeat, mobile gamers that make one in-app purchase are six times more likely to purchase again. The article states that if a player pays in one game, the likelihood they pay in a second game increases by up to 40 percent. Furthermore, those who make a purchase in the first 24 hours after a game is installed, are nine times more likely to pay in another game. Interestingly, the majority of all in-game purchases are for single use items, like extra gems, coins, XP, ammo. Where as the majority of all in-game purchase revenue comes from lifetime purchases, such as DLCs and ad removal. At weekends, daily active users can increase by up to 33 percent, with gaming sessions on tablets have the longest duration. VentureBeat notes that usage patterns differ across game genres, with strategy games boasting the highest average session duration of 11 minutes, or 2.6 times more than other genres. Are In-App Purchases a Pain in the App? According to Gamasutra, free-to-play games were the highest revenue earners for 2015, with the top 10 earning collectively over $5 billion. So, in the world of free-to-play games, IAPs are a necessary evil. But, most gamers hate this revenue model, and Devs hate the fact that they have to implement it. William Grosso, the CEO & Co-Founder of Scientific Revenue, a revenue optimization service for mobile games, has listed three proven strategies that will increase revenue. One of which we have implemented in ReRunners. Personally, I find this somewhat of an annoying model. I remember the good old days of shareware demos, playing the first few levels of Doom over-and-over again. But now, it can be frustrating, like waking up from a great dream, and realising it wasn't real. It has been noted, however, that this model can be good for indie studios, giving players a taste of what to expect before paying to unlock the remainder of the game. Despite being annoying in nature, this can be good for word of mouth. Just like console games, downloadable content is a way of giving your players and fans more of what they love to play for a fee. Popular free-to-play games like Monument Valley sold their expansion as an IAP within the game. But, despite it seeming like a money-making scheme, it's a good way to fund the production of a game and expand its longevity. The key to adding IAPs to your game is to do it in a way that it doesn't take away the fun of playing the game in the first place, and at the same time, rewards you with needed revenue to pay the costs of running a development studio. Good luck! The Klang family has gotten even bigger with the inclusion of our brothers and sisters in Tilting Point, who will be offering a combination of funding, operational support, marketing, and live ops for ReRunners. Tilting Point is the best in the game! Tilting Point has a super impressive gaming roster that includes Leo’s Fortune, Languinis, and Beat Sports, among others. So, we’re honored to be a part of Tilting Point’s ever-growing list. What makes this partnership special for us is that we retain full intellectual property and creative control over the direction ReRunners runs towards, as Tilting Point understands and respects our vision. If you see any of the Tilting Point team running around in the Overworld, say “HI!” to them. But, just don’t Race them; they’re pretty, pretty good at the game. Long Live Tilting Klang! Long Live Klang Point! 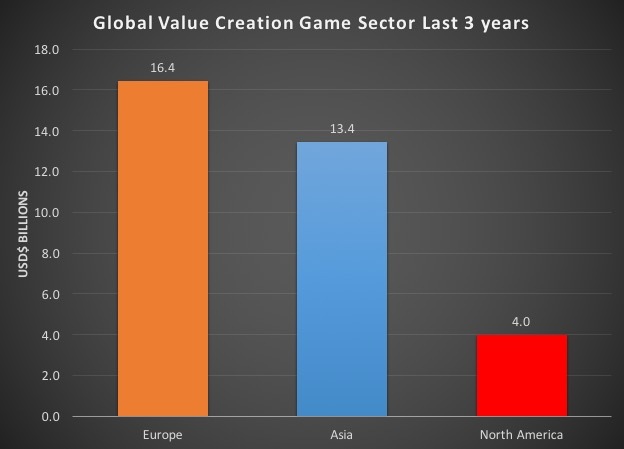 Industry Guru and General Partner of London Venture Partners (LVP) Paul Heydon has recently published an interesting blog post about how Europe is the best place to invest in games, and holds the most valuable developers over the past three years. While we object to being bias (Paul is a good friend and LVP is an investor of ours), we have to agree with him. Paul claims that there has been $33.8 billion of value created globally over the past three years across the game sector from Acquisitions or Initial Public Offerings. A whopping 50 percent (or close to) of this value was created by games companies in Europe, notably from Softbank's acquisition of Supercell, Zynga's acquisition of NaturalMotion, and Microsoft's purchase of Mojang. Money and statistics aside, we couldn’t be happier being based in Europe, Berlin specifically. Not that we’re against living somewhere else, in fact, a bunch of the Klang Gang have lived and worked outside of Europe. We can’t speak for the whole continent of Europe; it’s a bold move to do so! But Berlin is great for us. It has a thriving game scene, a reasonable cost of living, and a network of inspiring people. We're a part of the London Venture Partners family! Big news from the Klang camp: we are now officially a part of the London Venture Partners family! We’re super happy to have LVP join our other awesome investors on this adventure. And, wowzer! It’s really humbling to have the backing of the leading VC in games. 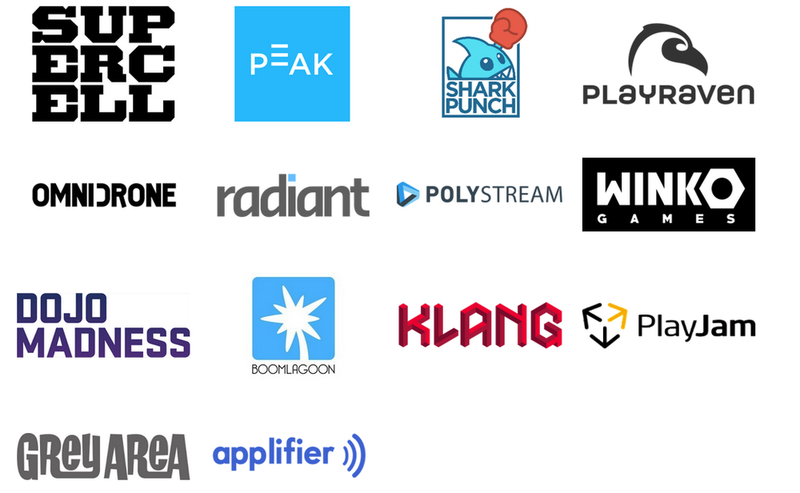 One who has previously invested in a bunch of forward-thinking studios, such as PlayRaven, Winko Games, and Supercell. You can read the official press release in full here, as well as our interview with Venturewire. Ah, app stores. We love them. All of them. All the app stores. They’re great. But, as we’re now nearing the time to launch ReRunners, it seems like a semi-scary mountain to climb in order to gain exposure among the vast gaming apps being launched daily.